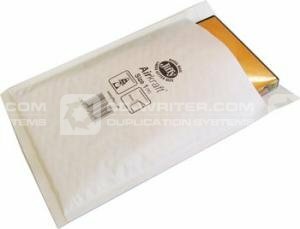 Pack of 100, Size 1 Jiffy DVD Bubble Envelopes. This DVD postage protector has a tough white Kraft outer with a tear-resistant Air Cap Bubble liner and features a self-seal closure. Sealed . Air . - . Jiffy . DVD . Bubble . Envelopes . Size . 1 . 100 . PACK .